Stefan ”Trend Stefan” Nilsson is a Swedish trend hunter. He’s well known for his yearly analysis in Swedish television where he usually talks about upcoming trends, both in a detailed way and in a more general manner. 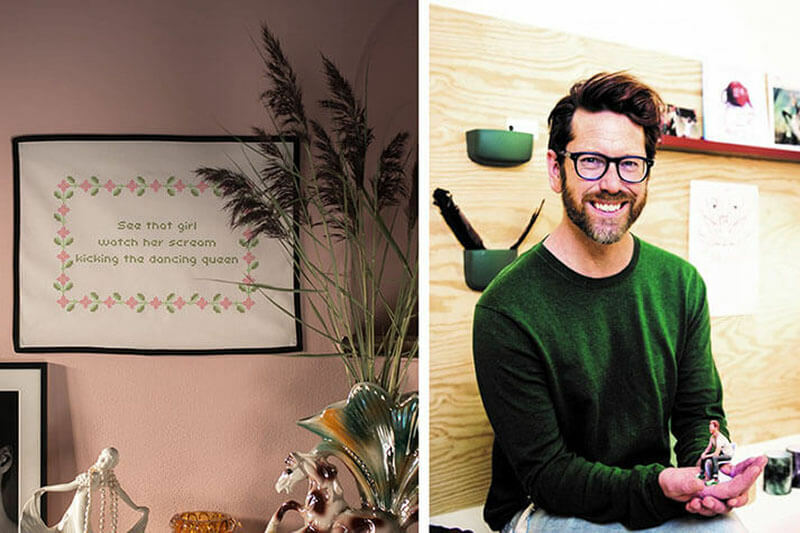 The past two years he’s talked a lot about sustainability, the ”perfectly imperfect” and trends regarding creating a calmness in the way we decorate our homes. The trends he calls ”Dusk” and ”Saturday Satori”, mentioned in January this year, both contain a lot of organic materials, plants and artisanal items. In the end of October Stefan approached us because he wanted a couple of press images for one of his projects. 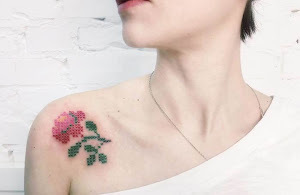 ”I saw their lovely embroideries but felt like I missed something a bit more suggestive and risqué. I’ve worked with modern handicraft before and I really like the combination of a more or less ancient craft with a contemporary twist. There are fun craft projects everywhere.” he says. 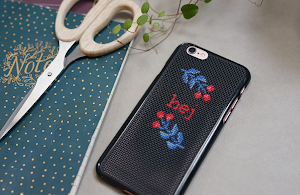 We decided to create something together, a TrendStefan embroidery collection, where Stefan could put his own touch on a couple of embroidery kits. 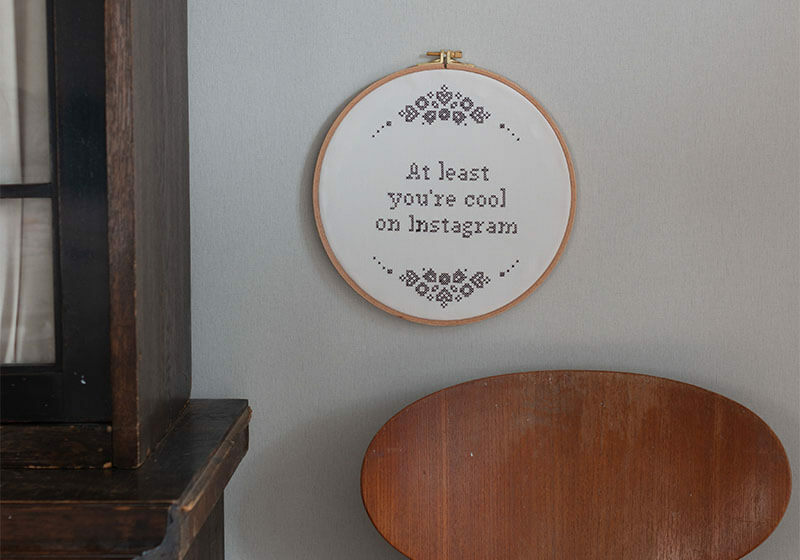 After some experimentation with various quotes he went with two themes for his embroideries. ”One was about our fixation on Internet and Social Media and the other one about misheard/sung lyrics. The iconic ’Like a virgin’ gets a funny twist when you misinterpret the lyric as ”touched for the thirty first time”. In interior design trends as well as general ”lifestyle trends” we can see a common theme of finding a new calmness. More people seem to crave the calm, the authentic and a break from the stress of everyday life. It turns into some kind of counteract against digitization and industrialization, that we got here too fast and we feel the need to press pause. 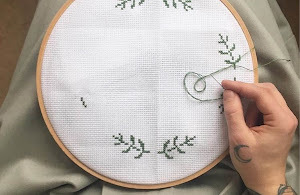 There’s a special kind of joy in putting the phone away in favor of reading a book, baking bread or embroider. At the same time Stefan feels ”We have to have some fun as well” and his embroidery collection is a reflection of just that. 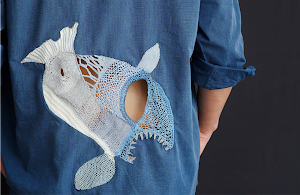 ”I want my embroideries to be contemporary, ’craftsy’ and a bit mischievous”. Stefans embroidery kit collection can be found HERE. Give yourself the time to create!